The spray hood rails and the sliding hatch are all going to have new wood trims and a new set of washboards made. 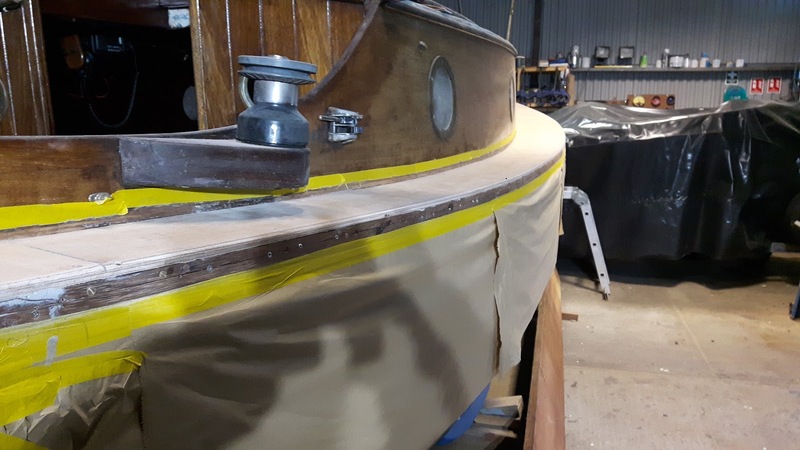 The decks are a complete mess and the first job for the Team is to clear the mast off the yacht and put it in the roof space of the workshop and then give the deck a god pressure washing to clean the decks up so the we can see where to start. All the old deck hardware to be renewed with up to date equipment and to be easily maintained when away from anywhere. 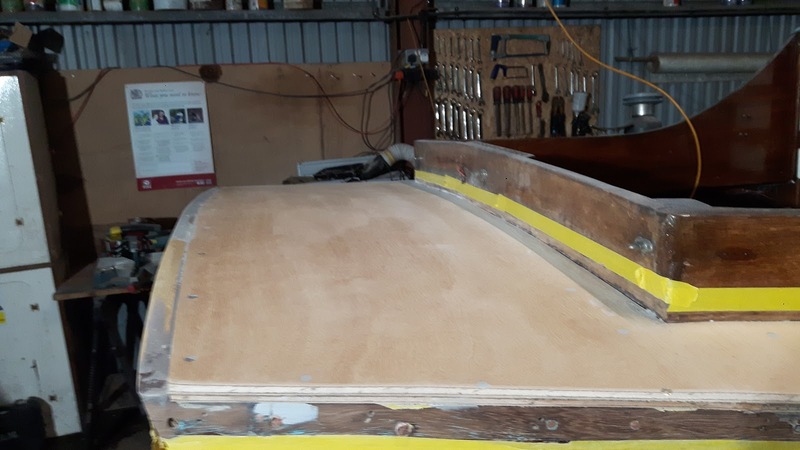 The bottom of the hull is now clear of all the oyster and other shells that had become attached to the bottom and now a better inspection of bottom can take place and see what as to be done to sort it out. All the skin fittings are going to be removed and replaced as they well past their life span and would be changed in any case. 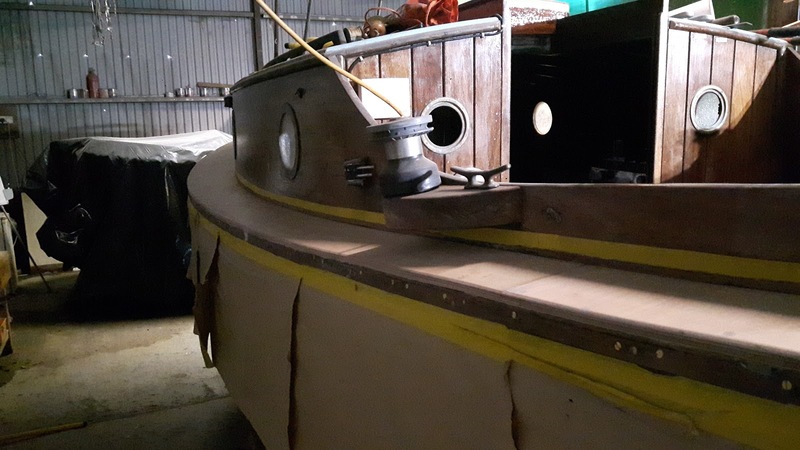 The hull anode is going to come off and a new anode bolt as well as the anode and check the earthing of the anode and the rest of the underwater fittings. 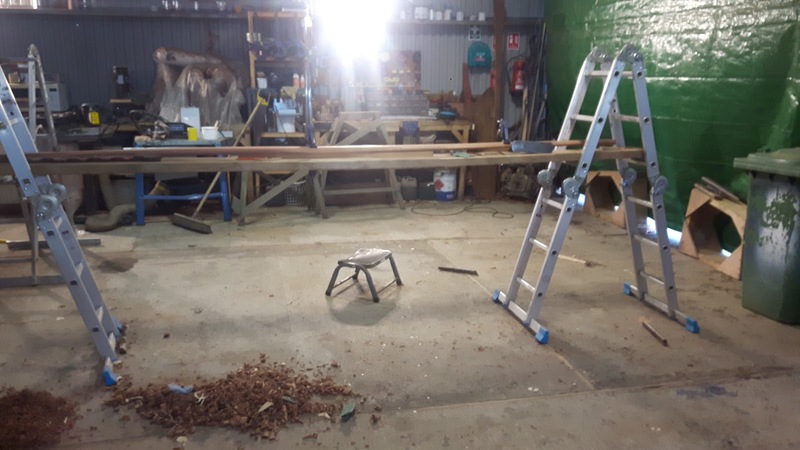 A major amount of work done this time with some more ribs and a new outer keel and the centreboard case removed and re-sealed and the mast support renewed. The owner hope to sail her in the spring when it gets warmer and there is more time in the evening to go sailing after work. 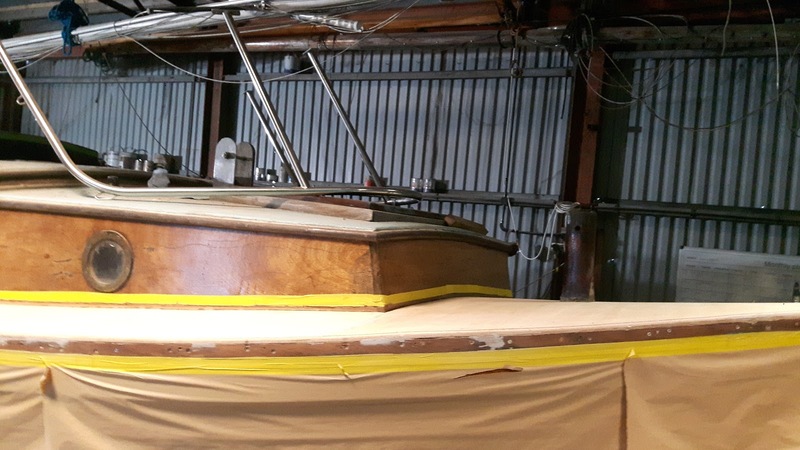 The mock-up of the helmsman seats is now done and have been put in place in the cockpit, now have to make up the foot rests to put on the front of the boxes which are having to be mocked-up to the original design when they were made by Hardy Marine when these boxes were original made as an option for this boat. When the quadrants are fitted the inner edge will be sealed, so the only holes in the deck this time are going to be the deck fillers for the fuel and water and the genoa tracks, the mainsheet horse and the backstay fittings on the aft deck so cutting down the chance of deck leaks from any through deck fittings. The Finesse 21 in the workshop and ready to get the old decks off and have a new deck fitted. 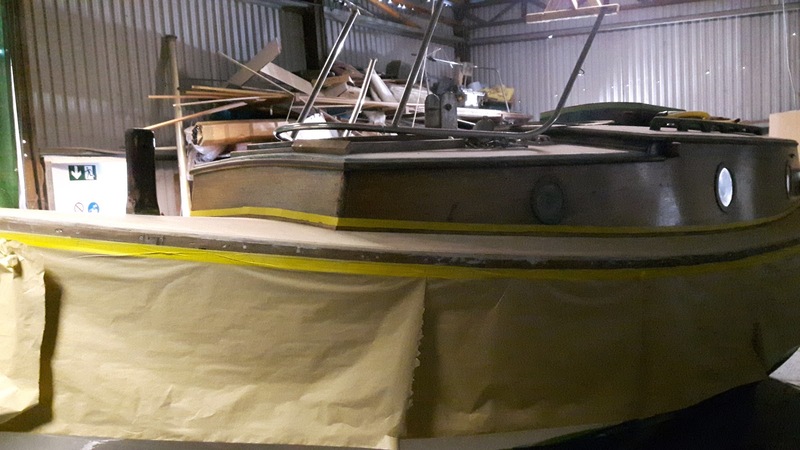 The Finesse 21 is now in the workshop and ready to have its deck removed and relaid. While it is the workshop it will be getting a fresh coat of paint and varnish. 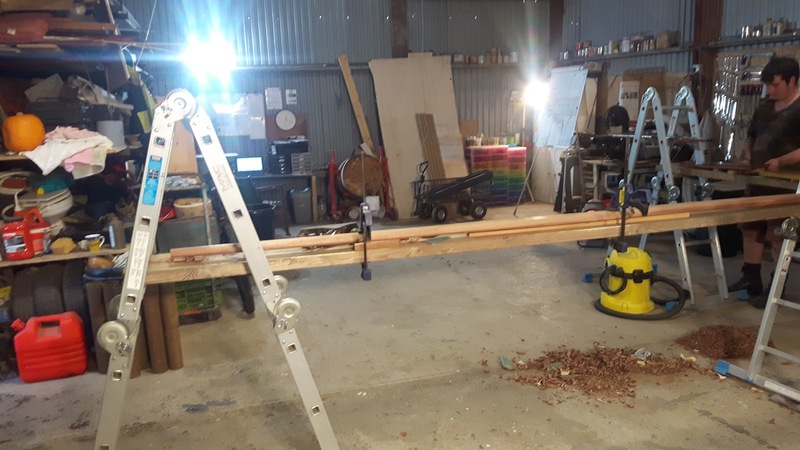 The mast off the boat and in the roof space while the work is done on the boat while it is in the workshop. 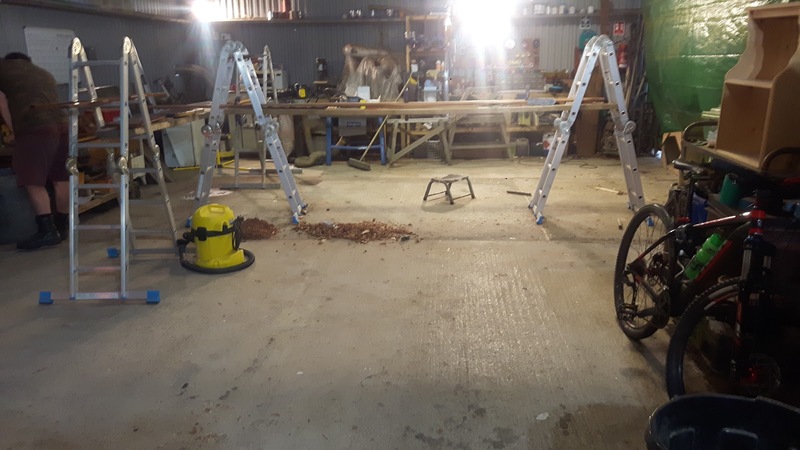 Now it is time to have a major clean up ready for the next job to come into the workshop, it is another re-decking job on a yacht.